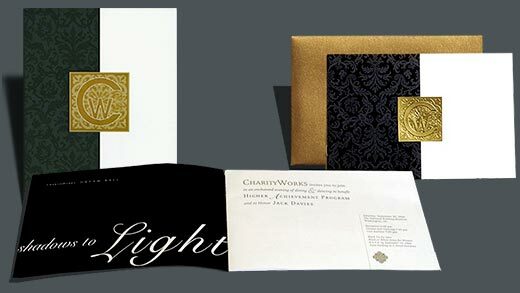 Paras Productions has had the privilege of designing fundraising materials for ChairtyWorks since it's inception in 1999. 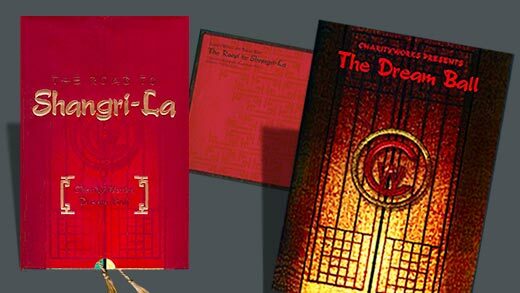 Our elaborate invitations (based on a different theme each year) for their annual Dream Ball Gala have helped them raise over $13,000,000 for various charities. 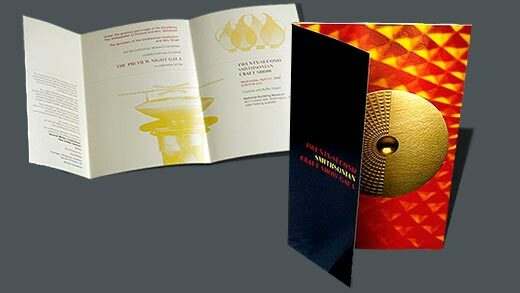 The invitations have become collector's items and have helped generate capacity crowds at the events. 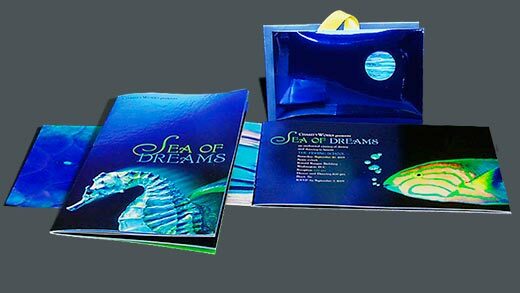 We also produce brochures, ads and other educational materials for the organization. 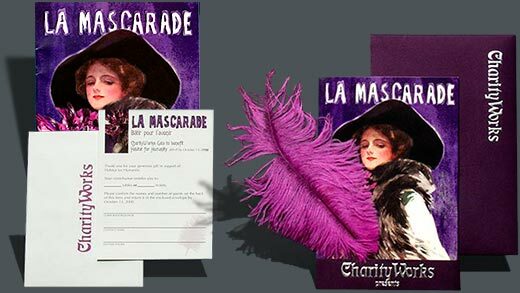 “Because of their beautifully designed promotional materials for the most recent CharityWorks Gala, we were able to attract not only new donors and sponsors, but also new individuals to attend our Gala. The new donors plus more guests in attendance enabled CharityWorks to raise over a million dollars in one evening. The originality and sophistication of Paras Productions' work has truly raised CharityWorks to another level. Now we find ourselves trying to plan galas that will measure up to their designs!" 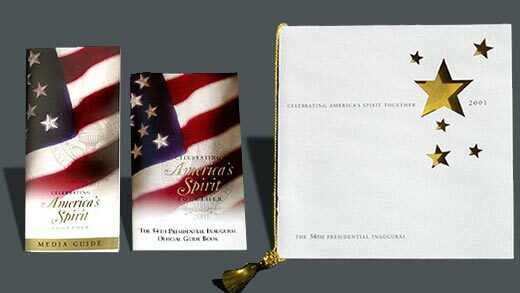 Paras Productions has produced the official publications and materials for four presidential inaugurals. 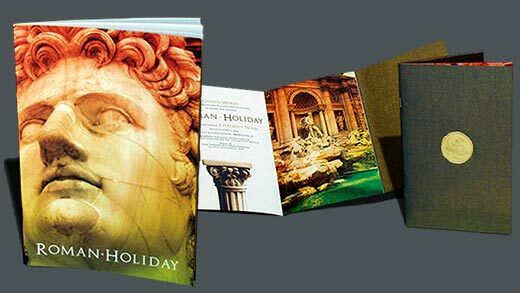 This has included designs for event programs, invitations, guidebooks, media packets, posters, banners, signage, tickets, security holograms and many other items. 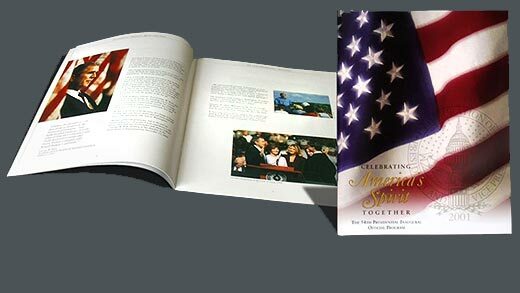 “During the inaugural planning period, you played an essential part in making President Bush's official inaugural publications, products and celebration a tremendous success. Thank you for your incredible effort, patience and superb assistance. The publications produced are a testimony to your great talents. It has been a privilege for me to work with such outstanding professionals." Each inaugural has been an immense undertaking with tight deadlines and a frenetic pace, but designing for an historical event of this magnitude is a always an honor. 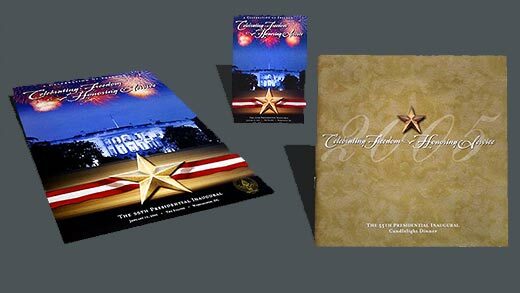 Pictured are three of the many pieces designed for the three day event, including a visitors guide book, media guide and inaugural candlelight dinner program. The 53rd Inaugural designs requirred a progressive look. The theme was "A Bridge to the 21st Century" and the invitations transformed into a bridge when opened. 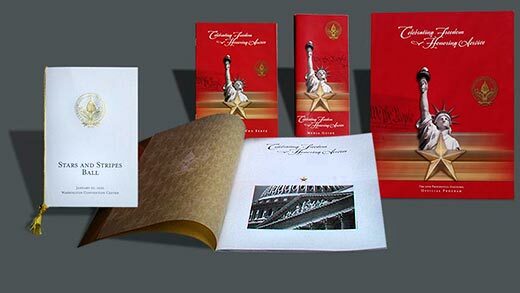 Pictured are two invitation carrier designs and interior layout. 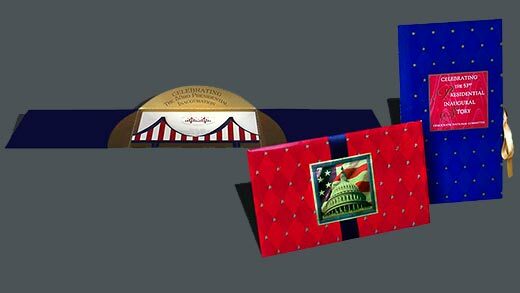 The invitation carriers contained individual tickets to the many inaugural events. Each ticket had a unique design that reflected the nature of the event. 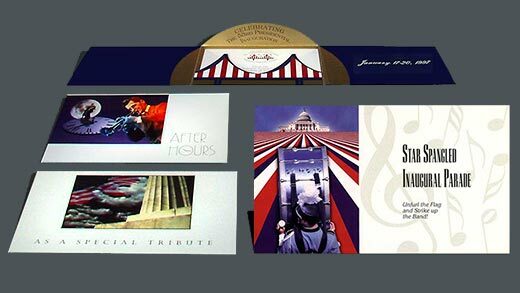 Designs for the 52nd Presidential Inaugural were clean and stunning. 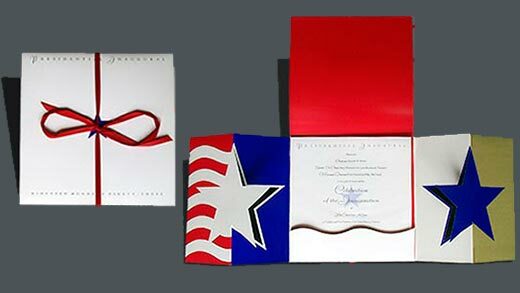 The invitation packet featured floating star cut-outs. Paras Productions produced many items for this event, including portfolios, posters and carrier boxes (see next slide). “Thank you for your outstanding contribution to the Fifty-Second Presidential Inaugural. Despite the enormous scope of the event and limited planning time, the Presidential Inaugural Committee presented a dignified and joyous celebration of unity. diversity, and hope. Hillary, Vice President and Mrs. Gore, and I are grateful for your efforts in producing a wonderful commencement to our new Administration." The Business of Show Business is an bi-yearly event that brings Hollywood and Washington together for discussions on the future of filmmaking. The Jack Valenti Humanitarian Award is also presented to an outstanding individual within the film community. Paras Productions designed both print materials and multi-media presentations for this event. 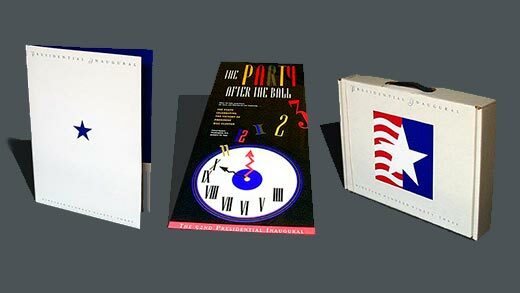 Designs included invitations, programs, signage, powerpoint, and animated presentations for the three day event. 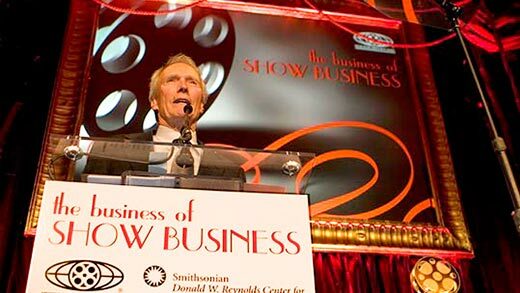 Paras Productions produced the background projections for Clint Eastwood's speech and acceptance of the Jack Valenti Humanitarian Award. 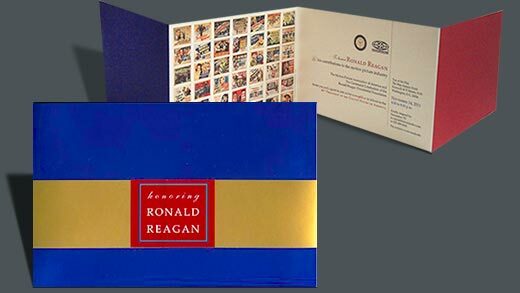 As part of the Centennial Celebration of the Ronald Reagan Presidential Foundation, Paras Productions designed a special invitation for an event honoring Reagan's contributions to the motion picture industry. The invitation featured stamp sized reproductions of posters from his 42 films. 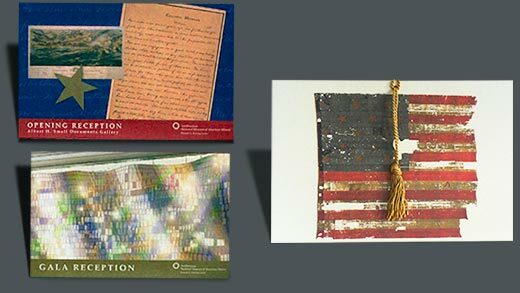 Paras Productions designed the print materials for the gala reopening of the renovated museum. 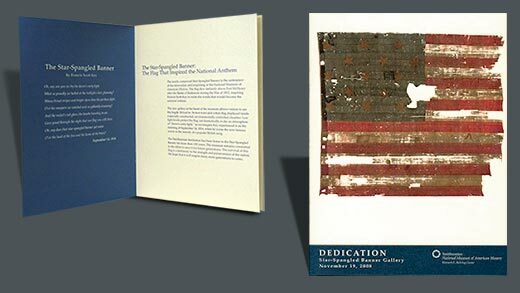 This included the dedication of the Star Spangled Gallery featuring the newly restored flag that flew over fort McHenry and inspired Francis Scott Key to pen what is now our natonal anthem. 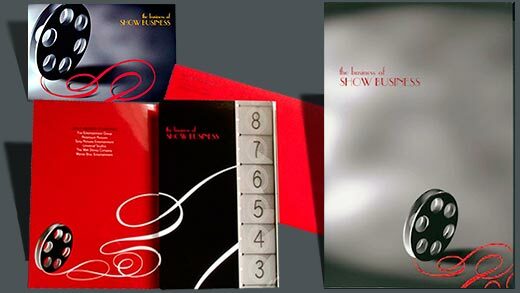 Shown (right) is the invitation packet. Featured (right) is the program for the dedication. The Smithsonian Craft Show is the nation’s most prestigious juried exhibition and sale of contemporary American craft. Over the past few years Paras Productions has designed the promotional and event materials (including catalogs) for the show. The goal each year is to promote the exhibition and the work of the craftspeople in the most intriguing manner. 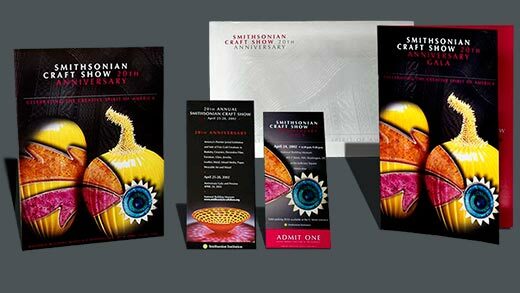 Our design approach for the craft show has been to use bold colors with textural emphasis highlighting the detailed nature of the various works. 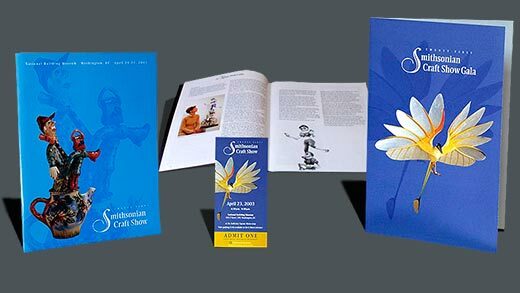 “For the past three years, the Smithsonian Craft Show has selected Paras Productions to design the Preview Night Gala invitation, the promotional flyer, and the show catalogue. Their designs are consistently imaginative and have helped attract large numbers to the show. We loved working with all members of the Paras team. They have met our deadlines, kept to the budget, and proved reliable throughout the design and printing process. We are grateful for their professional advice and beautiful work."